Kevin Smith (23) was supposedly trying to help a female friend in distress but ended up being tackled by six police officers. 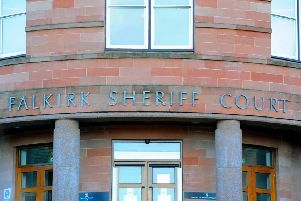 Smith, Seattle, Bothkennar Road, Carronshore, was drunk when police investigated a disturbance at 1.20am in Grahams Road, Falkirk. He admitted threatening behaviour and struggling with police on February 10. Kevin Douglas, defence solicitor, said: “It was a party and he had too much to drink. He had gone to find a friend of his. a girl, who was in some kind of distress.” Sheriff John Mundy fined Smith £450 to be paid back at £50 per week.